DuPage Aerospace has been elevated to a Class 4 Repair Station by the FAA, along with our previous FAA Class 3 repair station authority. DuPage Aerospace is authorized to work on most aircraft from single engine piston aircraft through large cabin corporate jets. Our professional technicians attend the latest and most advanced training and certification courses available. 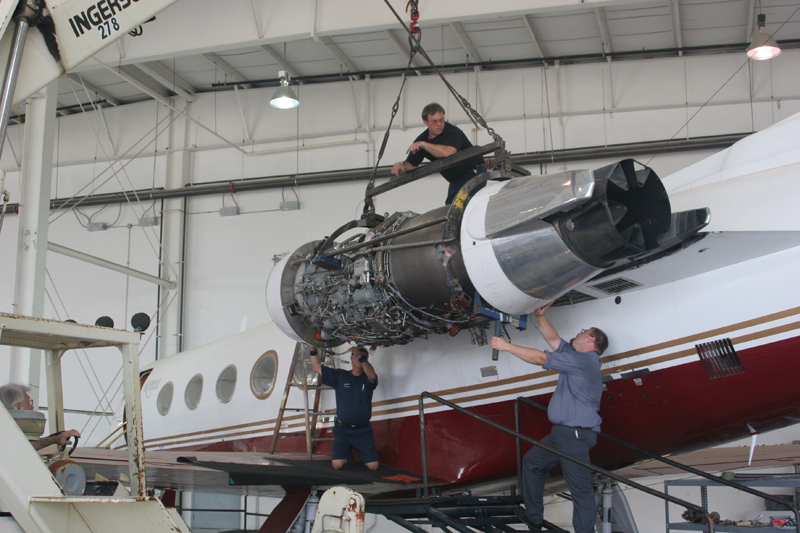 On average our technicians have over 20 years of experience with jets, turboprops and piston aircraft; providing you the experience to troubleshoot, inspect and repair almost any aircraft issue. DuPage Aerospace is an approved FAA Part 145 Repair Station (Certificate # SVTR023S ). We offer maintenance service for Hawker jets. To learn more, visit our Hawker maintenance page. Our maintenance technicians attend the latest and most advanced training and certification courses available. On average, each of our technicians have over 20 years of experience. They have the expertise to troubleshoot, inspect, and repair nearly any aircraft issue. We have experience with Boeings, Gulfstreams, Falcons, Challengers, Citations, King Airs, and a wide variety of piston powered aircraft. Our 40,000 square foot maintenance facility in West Chicago, IL is equipped to handle virtually all of your maintenance needs. We utilize advanced technical data and state of the art equipment. To reduce your expenses, we employ a state of the art computerized maintenance tracking program, which increases efficiency, accuracy, and accountability. Having owned and operated a wide variety of aircraft, we know that aircraft ownership is expensive. DuPage Aerospace offers the same quality work as our larger competitors, at a far more affordable price. Let us bid your next aircraft maintenance event and prove our worth!